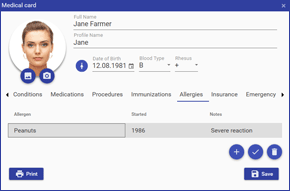 Create and maintaine personal electronic medical card on your computer. The card includes the general health information like age, blood type, conditions, allergies, immunizations, insurance policies, etc. 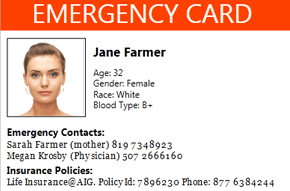 You can quickly print a health profile for your doctor or a wallet-sized Emergency card. 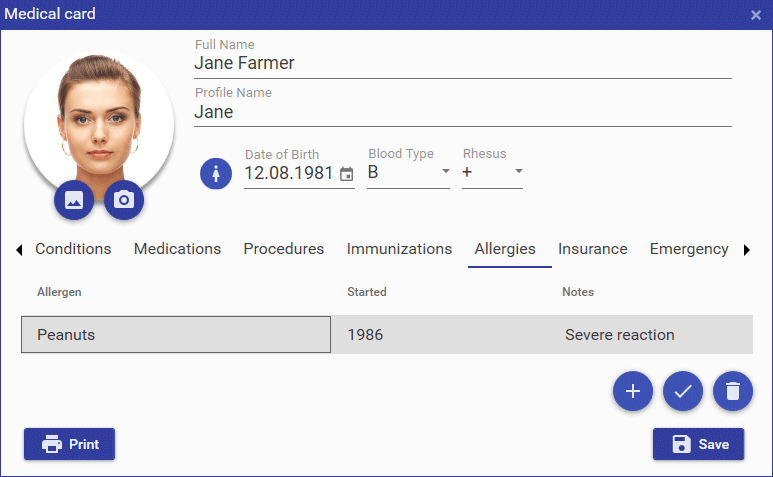 In GooPatient you can make health records in the most natural way. 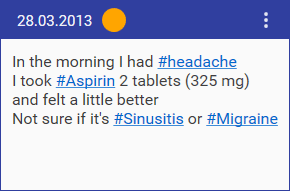 Using hashtags like in Twitter you can easily organise records and link them to conditions, doctors, treatments, etc. Quickly add any health-related notes to your health journal: symptoms, medications, lab tests. When you visit doctor or travel, you can take your medical records with you. And you won't lose all your health data if you lose your phone, because the primary database is secure on your home PC. You can sync the mobile and destop versions via USB or using cloud file sharing apps like Dropbox. When you need to describe where it pains, one picture is worth ten thousand words. 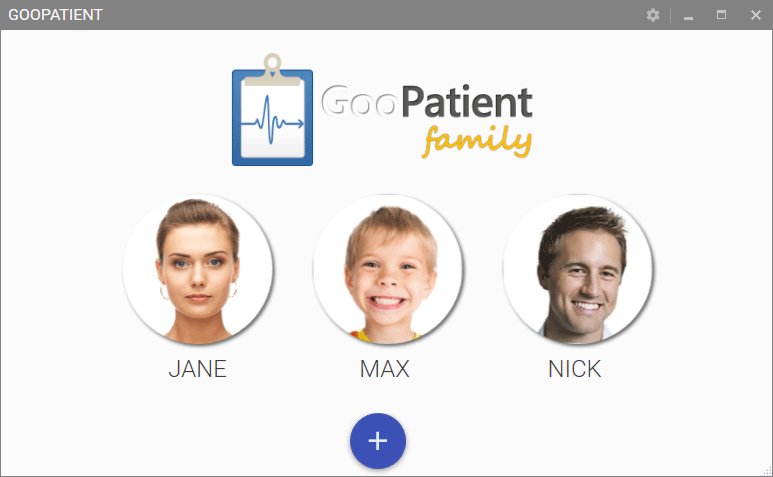 The PainT tool in GooPatient allows you easily create such picture and attach it to Health record. 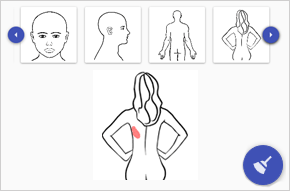 Just select the needed part of the body and draw with marker where it pains. You can also draw on your own photos. 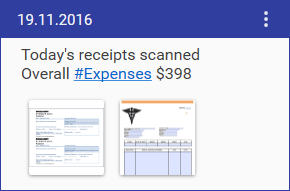 Store all your receipts, physician statements, X-Ray, ultrasound and MRI images and other medical files in one place. 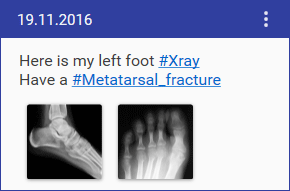 Quickly find a medical document when you need it. 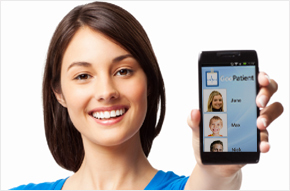 Use scanner or webcam to add document to GooPatient. 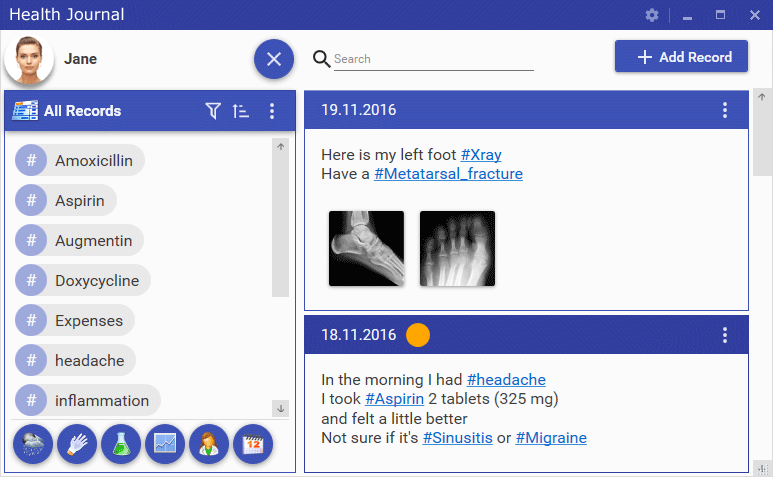 You can also organise doctor and clinic contacts and track visits to them. 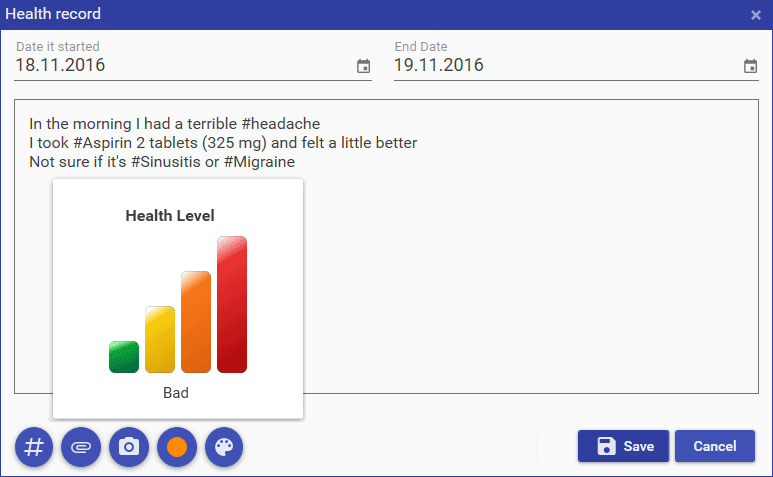 If you have someone, that you taking care about (baby, grandparents or even your cat), you can create health profiles for all them. Each profile is stored separately and can be protected with a password. Each profile contains a personal medical card and health journal to track health issues. Keep baby health journal and immunization calendar. Record symptoms, doctor visits, medications, treatments, procedures, test results, allergies, vaccinations. This will help you not to panic, professionally address all child health problems and effectively communicate with pediatricians. Track your pet's health like a pro. 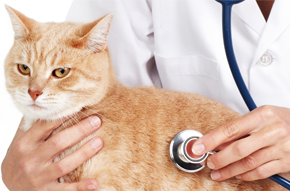 Create health profiles for all your cats and dogs. 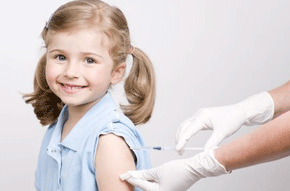 Keep identifying marks and license numbers, records about vaccinations, vet visits, diseases. Organize useful articles about animal health, store various pet medical files and photos of your pet. Emergency card that you wear in your pocket can save your life in case of emergency. It is especially needed for kids, people with allergies, epilepsy, chronic diseases (like diabetes) or specific conditions (like pregnancy), elderly people with memory problems. 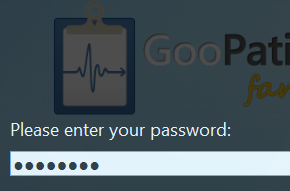 Unlike most cloud services, Goopatient keeps all your medical information on your computer and phone. You can set a password, so that nobody could access it. Even if you lost your phone, your health data will be saved on your home computer. 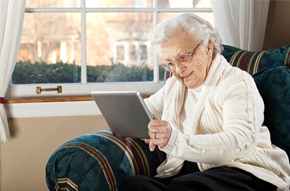 Home care software allows you to improve your parents' health and get ready for emergency cases. Using the caregiver app you'll spend less time and less nerves taking care about your elderly relatives or help your nurse. 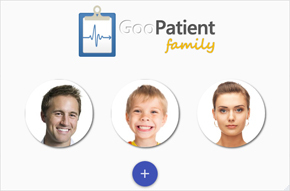 In Goopatient you can track your medical expenses using #hachtags. Attach your scanned receipts and invoices to medical records. Also you can keep in the program your insurance policies and control their deadlines.